FINAL SALE. 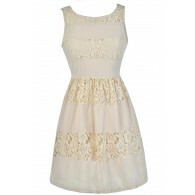 A touch of contrasting lace adds style to this otherwise simple strapless dress. The Laced With Style Contrast Dress With Pleated Skirt is made of a sturdy fabric and features a strapless neckline and lined and lightly padded bust. A banded empire waist gives way to the A-line skirt with oversized pleating throughout. The best part of this dress is the black floral lace at the bust that adds a flirty touch. An invisible back zipper completes this dress. 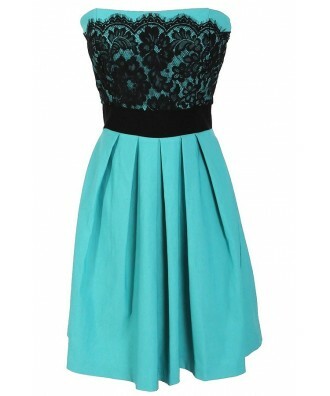 The Laced With Style Contrast Dress With Pleated Skirt would look great paired with black pumps or heels. 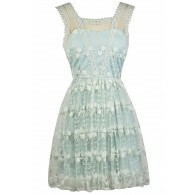 You have added Laced With Style Contrast Dress With Pleated Skirt in Jade into Wishlist. 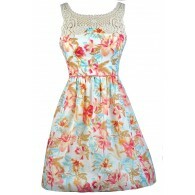 You have added Laced With Style Contrast Dress With Pleated Skirt in Jade for Stock Notification. 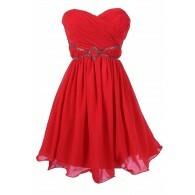 You have set Laced With Style Contrast Dress With Pleated Skirt in Jade as a loved product. 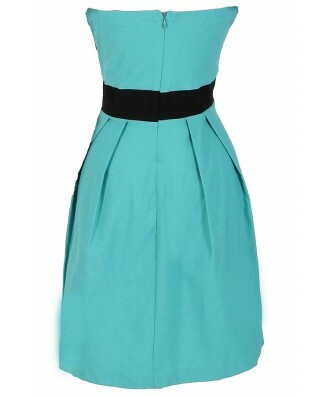 You have removed Laced With Style Contrast Dress With Pleated Skirt in Jade as a loved product.